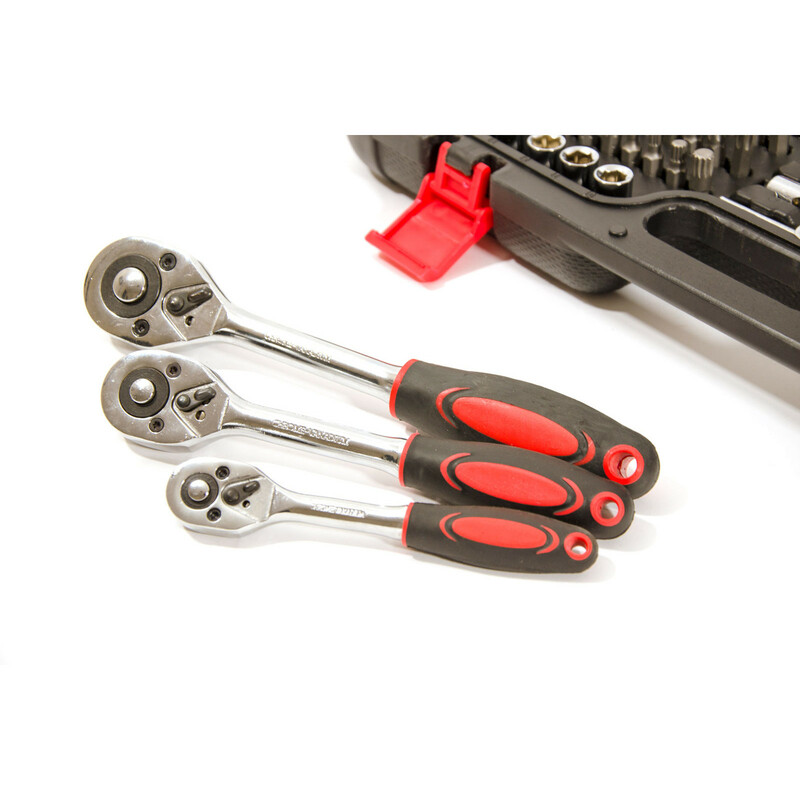 5% Off All Items over £50. 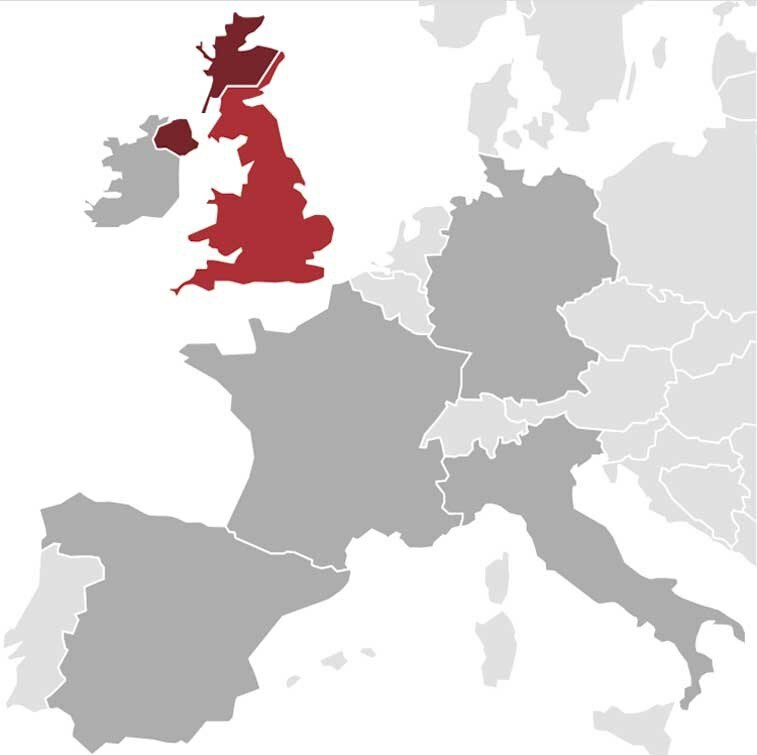 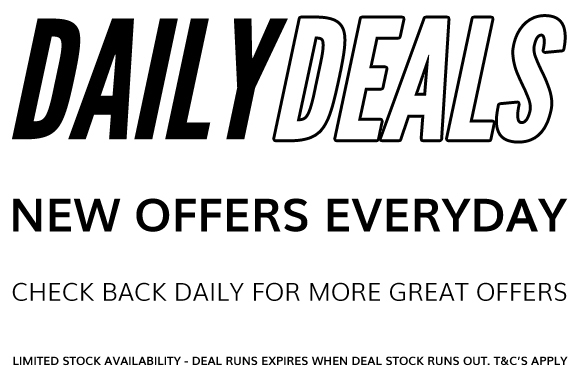 Offer ends 26/04/19. 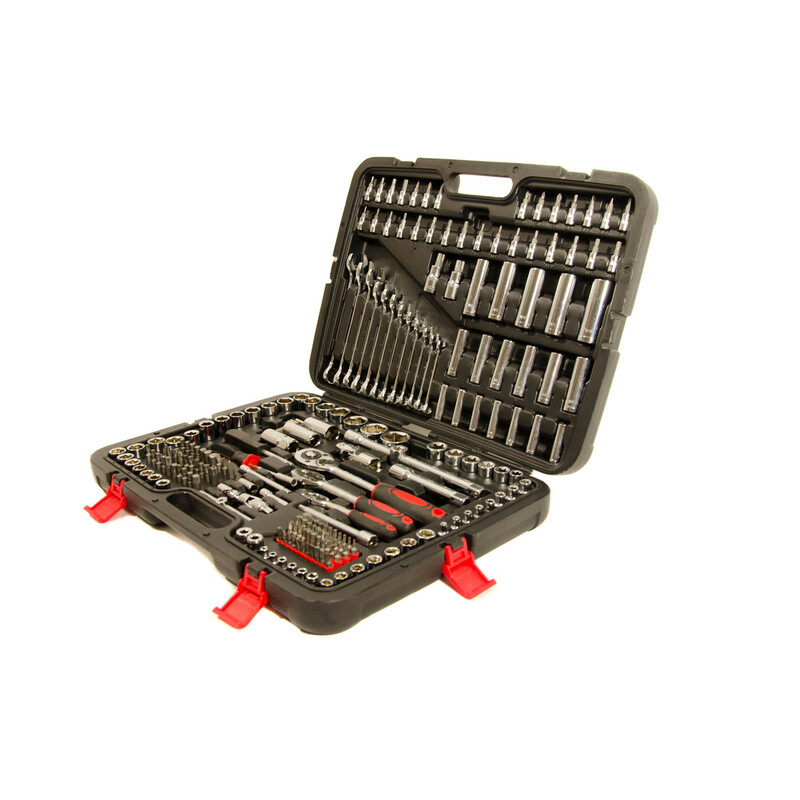 Our 215 Piece Professional Tool Kit is perfect for those determined to get both value for money and a high grade set of sockets they can rely on. 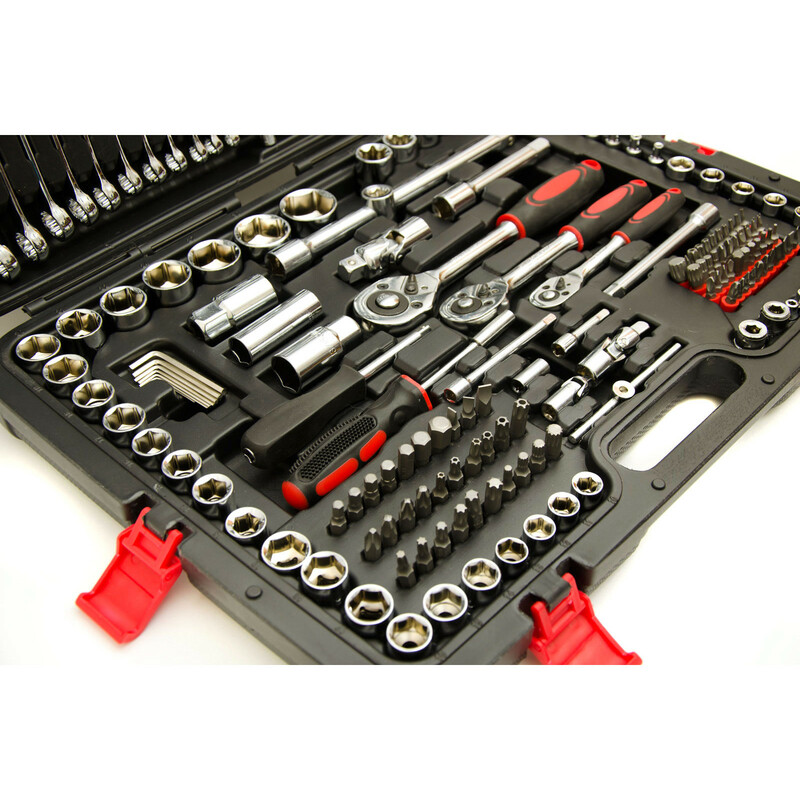 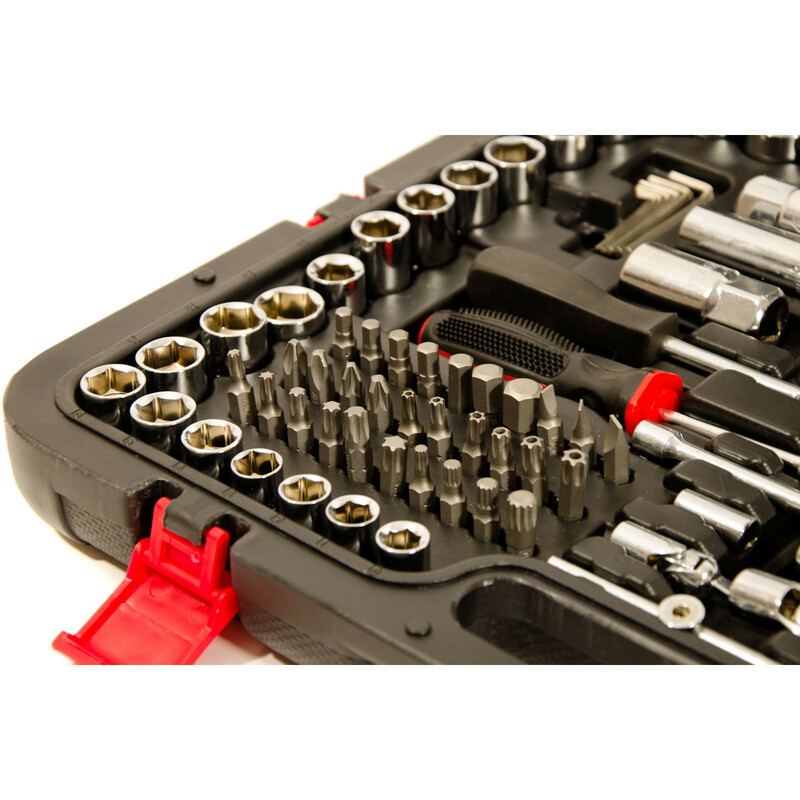 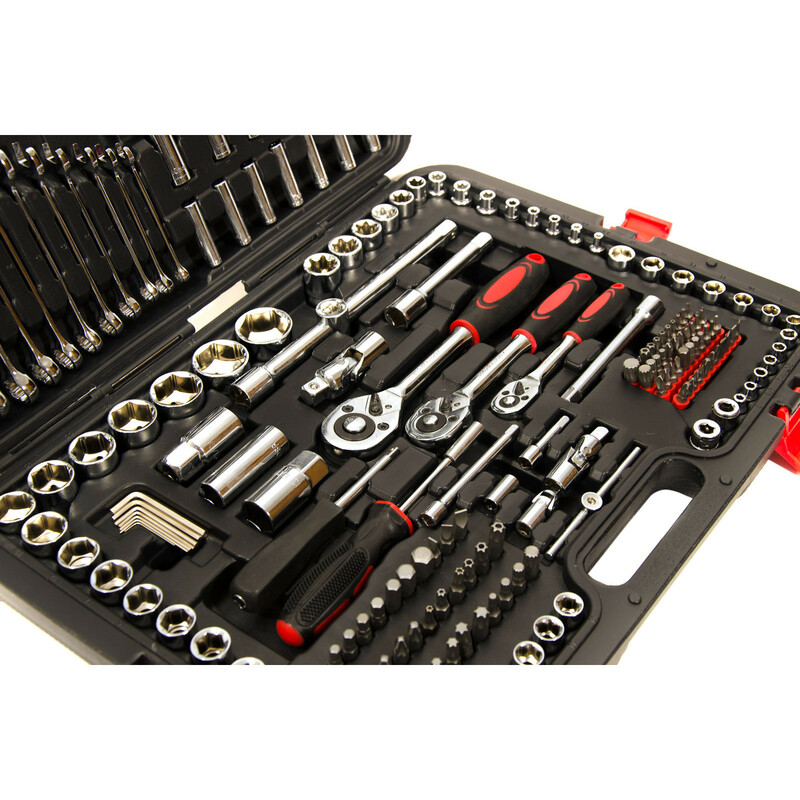 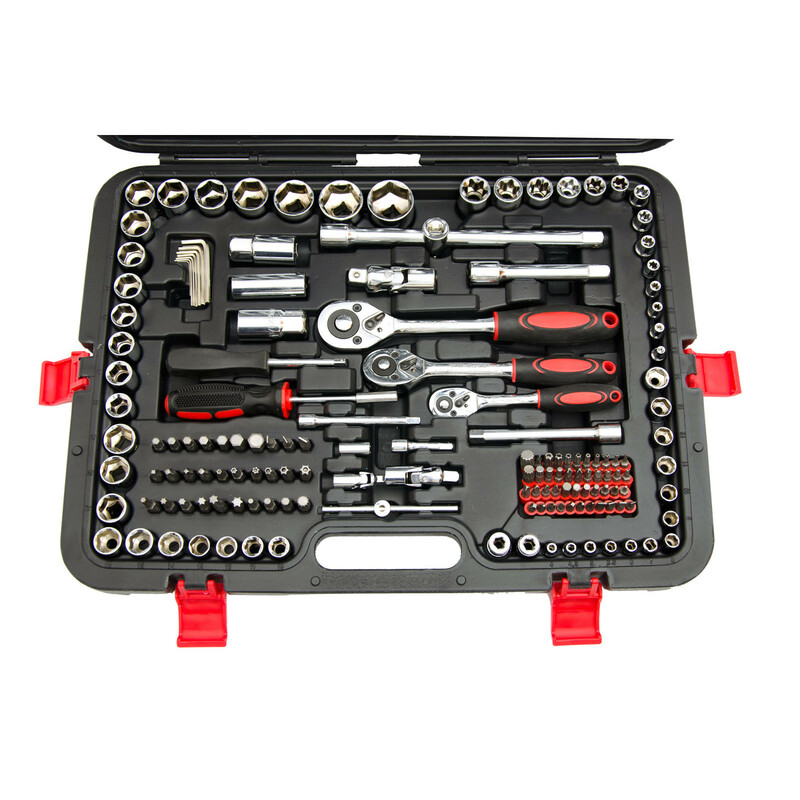 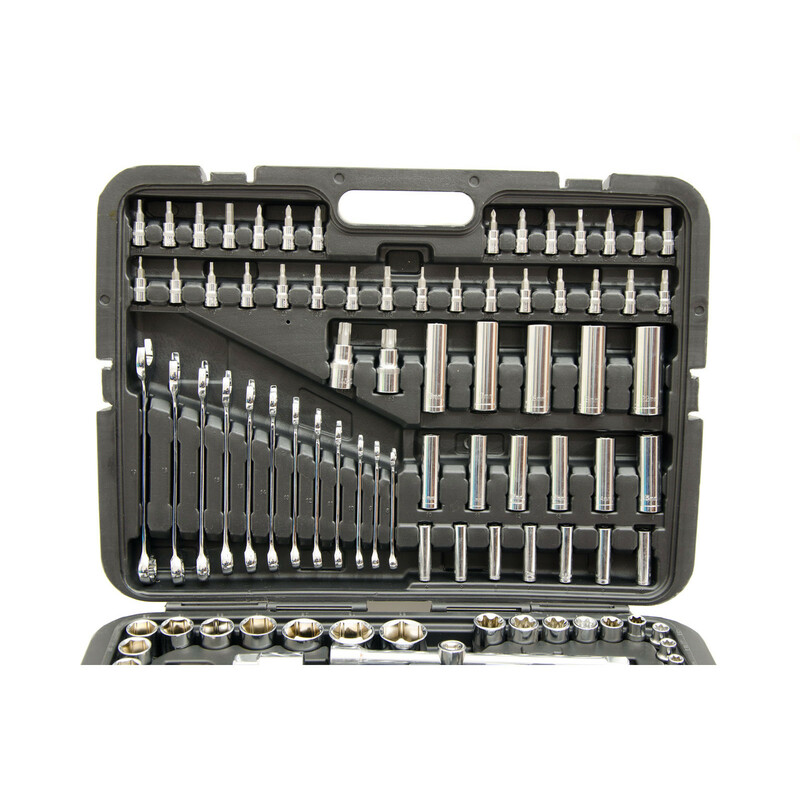 This substantial socket set includes a selection of high quality spanners, ratchets and a host of different sockets including common and more specialised sizes. 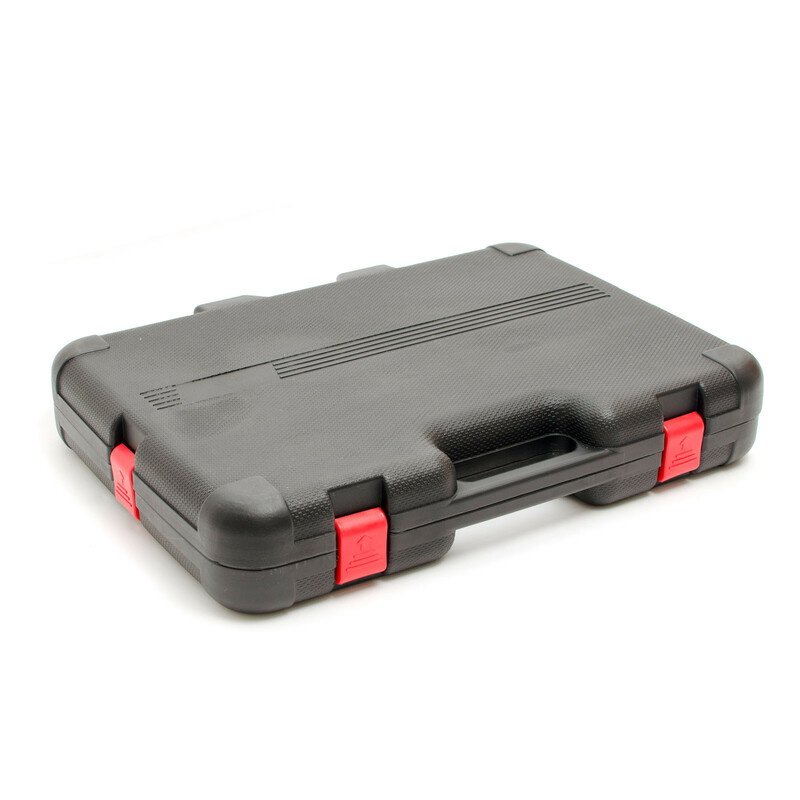 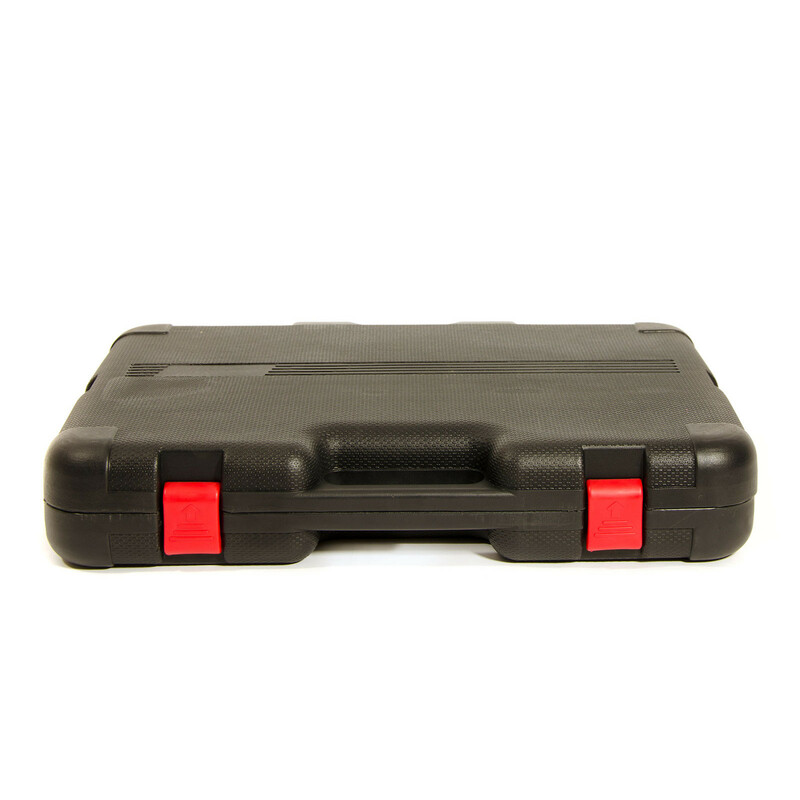 The moulded case features an intelligent design, with each part and tool sitting in its own dedicated tray for ease of reference, a comfortable carry handle and multiple clips for a secure seal when shut. 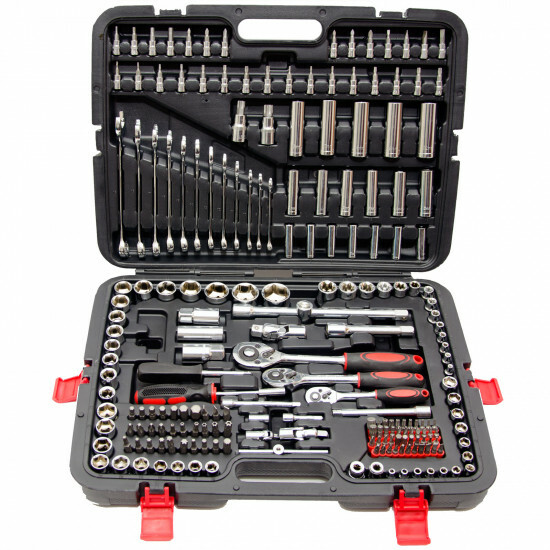 This professional socket set delivers an extensive range of high grade tools, each manufactured from tough chrome vanadium steel for a long-lasting set of professional tools, all at one unbeatable low price!